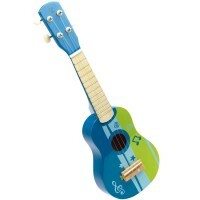 Give a star performance with this jammin' Small World Toys' kids saxophone that plays 18 songs while lights flash! 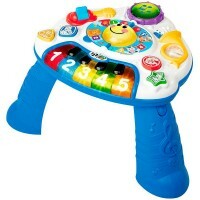 Give a star performance with this jammin' kids saxophone that plays 18 songs while lights flash! 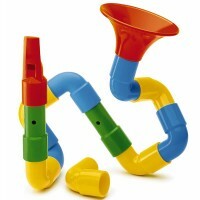 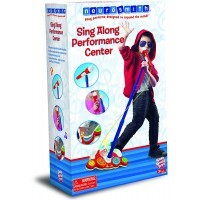 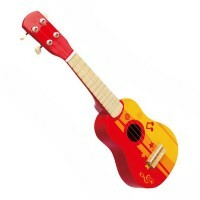 Toy Saxophone Musical Instrument by Small World Toys is made of quality plastic in vibrant colors. 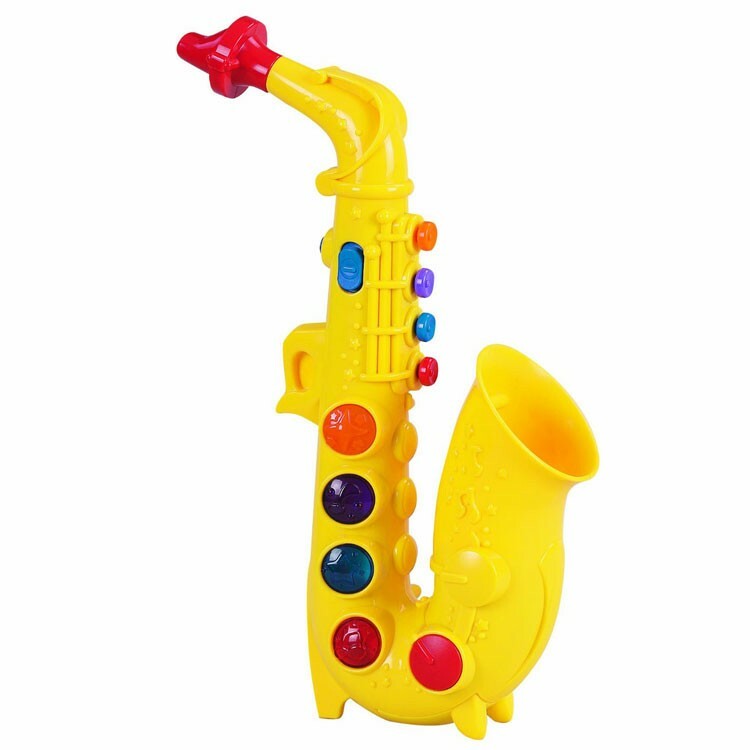 This Toy Saxophone Musical Instrument from Educational Toys Planet comes with 4 buttons that play notes and 4 lights that play short tunes when pushed. This pretend play saxophone is an excellent children musical instrument that encourages music appreciation and fosters imaginative play. 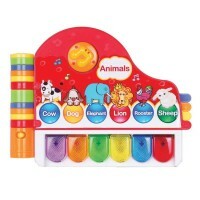 The toy sax requires 2 AA batteries (included). 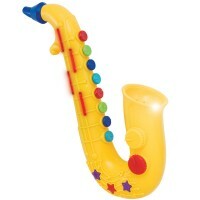 Toy saxophone measures 7 x 15 inches. 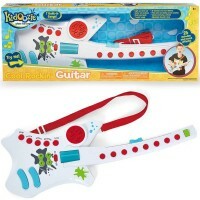 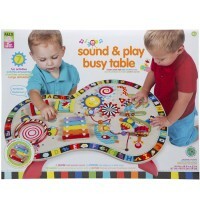 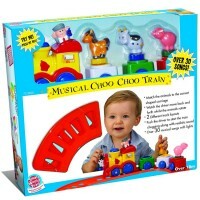 Write your own review of Toy Saxophone Musical Instrument.